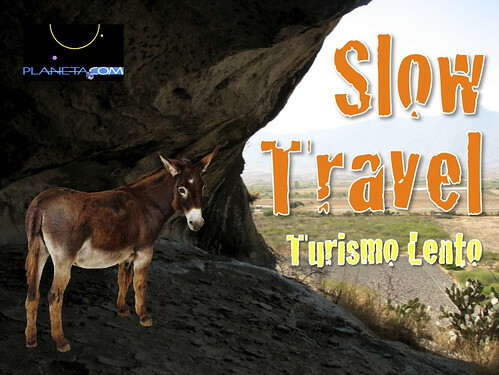 Slow Travel / Turismo Lento, originally uploaded by planeta. Slow travel allows visitors to enjoy more than the adrenaline kick of speeding through a foreign landscape. To enrich your vacation, you need to meet the people which is the focal point of the growing local tourism movement. Slow travel requires thoughtful preparation, learning about the places to be visited beforehand while allowing one’s self to be surprised once you arrive. There is the experience itself and staying in contact after this journey. What are your thoughts about what constitutes slow travel in Mexico? As part of the global celebration of World Environment Day, Planeta.com presents the tenth annual Colibri Ecotourism Awards honoring the work of Allan Rhodes and Verena Gerber. The Colibri Ecotourism Award recognizes leaders who are at the forefront of innovative measures to protect cultural and natural heritage in Mexico. The winner of the 2010 Colibri Ecotoursm Award is Alan Rhodes. This year we also present the Colibri Ecolodge Award to Verena Gerber, founder of the EcoParaiso ecolodge. “Allan stands at the forefront of Mexican ecotourism leaders who are equally talented in working with communities and officials on the ground and communicating this work online,” said Planeta.com founder Ron Mader. The development of Ecoturismo Genuino and its accompanying online community are thanks to Allan’s long-standing commitment to connecting players working in the virtual and natural worlds. Mexico’s esteemed park system plays a critical role in protecting biodiversity while creating employment for locals. Allan’s work stands as a model for those integrating conservation and tourism in these areas. “EcoParaiso offers responsible tourism and an alternative to mass tourism,” Mader said. “There is a growing market for smaller places that respect the environment. EcoParaiso has set a high standard and provides a positive financial impact for the people of Celestún and a positive environmental impact for the wilderness area of the Celestún Biosphere Reserve. As part of the global celebration of World Environment Day (June 5), Planeta.com presents the annual Colibri Ecotourism Award (2001-) to a leading catalyst working toward ecotourism and responsible travel in Mexico! 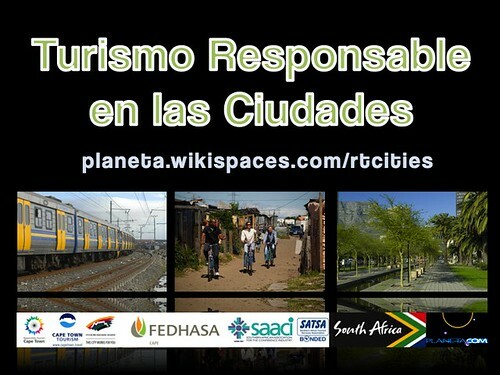 Talk up Mexico’s ecotourism and responsible travel options using Web 2.0: Blog, Tweet and Flickr! 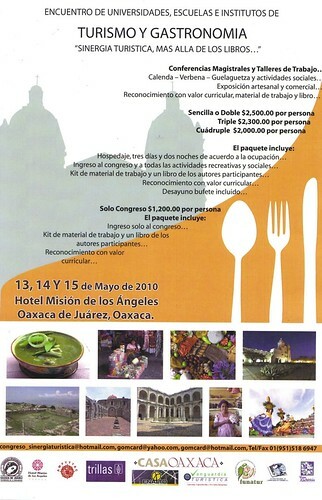 This week I received via the dreaded email attachment the poster (seen below) about an upcoming tourism conference in Oaxaca. The idea behind the poster is great and asks academics and academic wannabees to think about tourism that goes beyond the books (más alla de los libros). But walk the talk! In terms of conversing about tourism using the Web (más alla de los libros), this conference and many like it fall short. Woefully short. Personally, I find this event and many of its kin, truly wonderful hip and up-to-date venues … provided you’re living in 1977. If you’re not living in the Lost Universe that asks where where you when Star Wars debuted, then you might ask, what would it be like to promote tourism in 2010? Here is where Mexico falls short. Tianguis Turistico? Great idea a few decades ago. Not so much in the 2010s. Don’t get me wrong. Mexico has wonderful options for visitors and locals, but conversing about the long tail of options is where officials fail and where TripAdvisor, Flickr and YouTube succeed in the current info climate. What worked in the 1970s simply will not thrive in the 2010s. We’re beyond Peak Oil and we’re beyond Peak Tourism. What can work is slow travel and the burgeoning local travel movement. Foodies love Mexico and it makes sense to have events that showcase local cuisine. I invite anyone visiting Oaxaca to try out the chocolate and mezcal treasure hunts. Looking beyond this particular event, what should event organizers change? Almost everything and we have a few ideas on making conferences more engaging for locals and visitors. Highly recommended listening is the ABC program The Future of Conferences. On the bright side, most countries are adapting to the new digital divide measured no longer but whether or not do you or do you not use the Web but how well you use it as a tool for conversation instead of as a megaphone. Is anyone else on Mexico Premiere using Twitter? What a great tool! 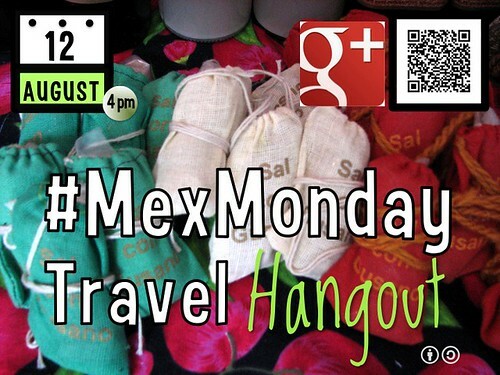 Here’s a tip — keep an eye on #mexicomonday and #mexmonday. Happy Día del Artesano! The party is in full swing this weekend in Oaxaca City, one of the chief hubs of folk art in Mexico. Whether you are seeking jewelry, woven rugs, shawls, ceramics or elaborate wooden figures, the famous alebrijes, you could be overwhelmed by the variety and quality of local crafts. 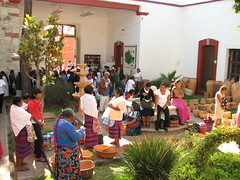 Our suggestion – take your time, read a bit before you arrive and visit a few of the stores and artesanos. For tips, check out Planeta.com’s index of where to buy crafts. This spring I have had the pleasure of collaborating with a number of artesano friends and we’ll be highlighting the 2010 Easter Market beginning next Friday. Keep an eye on Oaxaca Folk Art!